No doubt about it, December is a busy month! Planning and celebrating the holidays, rushing to finish year-end projects… added to our regular routine can add a level of stress and feeling of overwhelm. Yet many abandon their self-care routines due to time restraints unfortunately at a time when stress relief is most needed. Overwhelm results from the feeling of having too much to do and not enough time to get it done. Fortunately, there are ways to take care of yourself and reduce stress which can be done in 10 minutes or less. Consider giving yourself these simple (and free) gifts this holiday season. Stop, breathe and relax. When your stress level is rising, physically stop, take a breath and relax your shoulders and jaw. This quick break will give your body and mind time to reset before proceeding. This will give you time to respond and not react. Take a quick walk around the block or the office. A short burst of exercise will get the blood moving, increase energy and shift your focus. 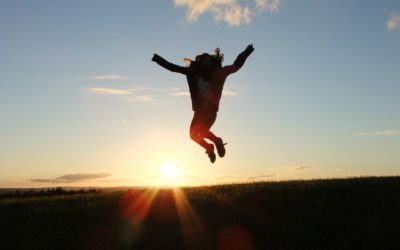 If walking is not an option, try jumping up and down (which will make you laugh) or even swinging your arms a few times. Stand up and stretch. Doing a few stretches to loosen the tension in your muscles can relieve tension in your mind as well. Taking a quick break to stretch will keep you flexible and reduce the chance that tight muscles will develop into painful knots. Write down any thoughts that are weighing on your mind. Holding thoughts in our heads takes a great amount of energy and makes it hard to focus. Whether it is a list of things to do or a problem you are trying to solve, put it down on paper to reduce the stress on your mind. Say no! Think about your “should” list and evaluate why each item is important and what would happen if you said no. Saying no takes less than a minute and can free us from doing things that will leave us feeling resentful or tired. Go for a walk. Taking a walk gets the blood moving and can help shift perspective and clear the mind. Watch a funny video. Humor is a great way to shift our energy from negative to positive in a short amount of time. Step outside midday to capture sunlight. The days are shortest in December and the decrease in daylight can have a negative impact on mood. A few minutes of midday light will help lift mood and will also provide fresh air. If you can’t go outside, sit by a window and take in the sunshine. Meditate or sit quietly. Even if your mind is racing as you sit, taking a few minutes to meditate or sit quietly will calm the body which will help calm the mind. Call a supportive person. Taking a few minutes to connect with a supportive person can help with perspective. Often sharing our thoughts with someone we trust helps alleviate stress and gain insight into any challenge we are facing. Read something fun. Read an interesting article or chapter of a book for a quick break to refocus your thoughts. Go to bed ten minutes early. Give yourself a little extra time to relax in bed especially if you are having a hard time settling down at night. Getting in bed will send a signal to the brain that it is time to slow down. Get up ten minutes early. Adding an extra ten minutes to the morning can help start the day without feeling rushed. Often when we start the day rushed, the feeling follows us throughout the day. My gifts to you are two free stress reducing giveaways. Download the free E-book 7 Days to a More Mindful Life and a free 45-minute Gentle Yoga session . Both are designed to help you slow down and relax. And while you are thinking about it, schedule a complimentary session for January! I wish you all a healthy, joyful and relaxed Holiday Season! Please email me liz@bewelllifecoaching.com with questions.